A fantastic gift for your special Mom-To-Be! 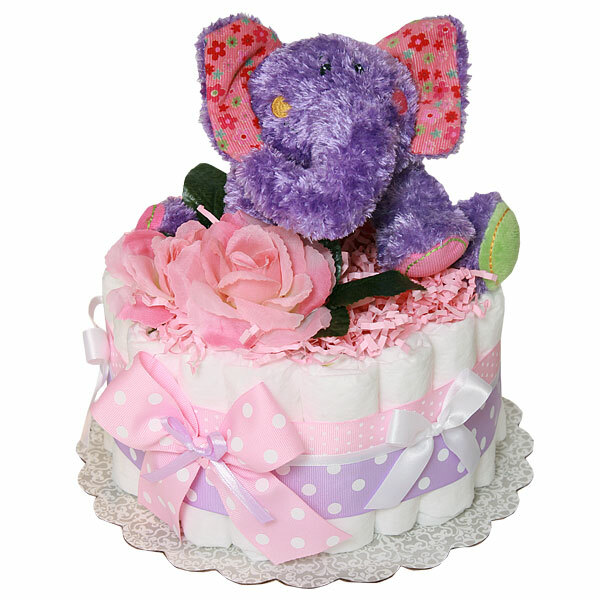 Soft and sweet little elephant sits on top of one-tier Little Purple Elephant Diaper Cake. This cake consists of 25 rolled Pampers Swaddlers diapers size 1 (8-14 lbs. ), wrapped in fun and bright ribbons. Decorated with crinkle paper and silk flowers.